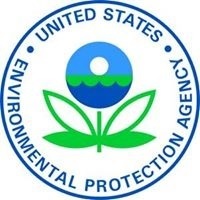 DENVER – (RealEstateRama) — The U.S. Environmental Protection Agency is providing Carbon County, Utah with $600,000 in Brownfields grant funding to assess, clean up and revitalize properties in the communities of Price, Helper, Wellington and East Carbon. Carbon County is among 144 grant recipients across the nation receiving EPA Brownfields Environmental Assessment, Revolving Loan Fund, and Cleanup grants. The 221 grants totaling $54.3 million will provide communities with funding to assess, clean up and redevelop underutilized properties while protecting public health and the environment. Carbon County will use the EPA grant funds as part of a coalition with the Cities of Price, Helper, Wellington and East Carbon focused on revitalizing derelict buildings, old salvage yards, landfills, railyards, gas stations, and mine-impacted properties. Priority sites in Price include downtown properties containing leaking underground storage tanks, a former lumber mill, and an abandoned retail site. Sites in Helper include underground storage tanks and an old landfill. Properties targeted in Wellington include gas stations and a former lumber mill. Potential contaminants of concern at these sites include petroleum compounds, heavy metals, PCBs, solvents, and acids. The assessment and cleanup of these properties will address potential health risks and encourage investments in new business and employment opportunities.